John Nelson Cooper crafted this classic Bowie/Fighter. 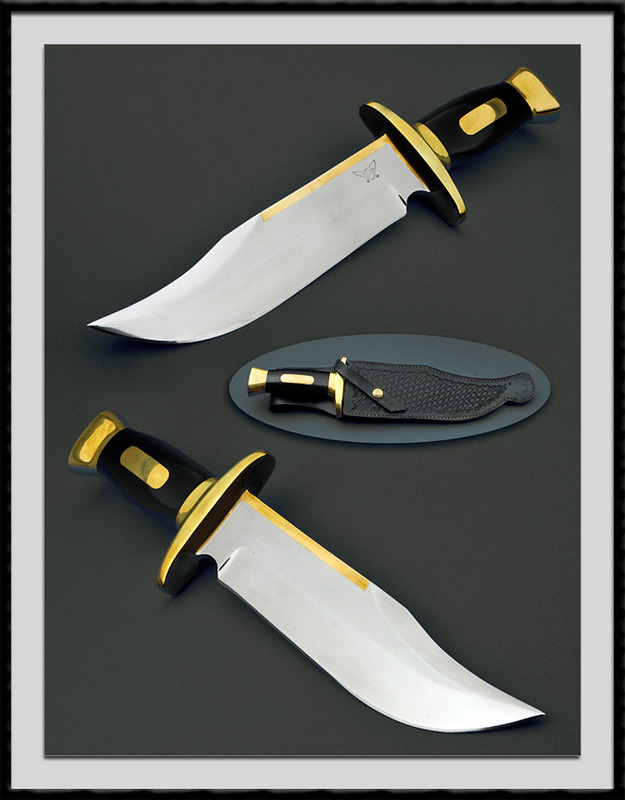 BL = 9 1/2" OAL = 14 5/8", 440c Blade steel, Brass Backed and fittings and a Black Linen Micarta handle. Comes with the tooled leather sheath pictured.